Laugh Room is back! 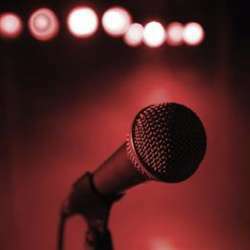 Presented by Kirthy Iyer and Sup Comedy, this is an open mic for live comedy where experienced comedians try out new material and raw comedy hopefuls take their first chance performing on stage! Scary!!! and guaranteed fun! Please sign up on the event by posting a comment below. The running order will be announced a week before the show. Please bare with us as we only have limited slots each show so if you don't get on this week, you have a better chance the next time.